J. F. SHOTTON CO., INC.
SMB-0.6, 7 NM (5 lb. ft.), view .pdf file of this electric brake. SMB-425, 35 NM (25 lb. ft), view .pdf file of this electric brake. SMB-560, 60 NM (40 lb. ft.), view .pdf file of this electric brake. MC-0.6-16, 7.5 NM (5.5 lb. ft.), view photograph, view .pdf file of this electric clutch. SC-350, 15 NM (11 lb. ft.), view .pdf file of this electric clutch. SC-350-12, 15 NM (11 lb. ft.), view .pdf file of this electric clutch. SC-425 , 27 NM (20 lb. ft.), view photograph, view .pdf file of this electric clutch. SC-425-24 with sprocket and sleeved hub, 27 NM (20 lb. ft.), view .pdf file of this electric clutch. SC-560 , 68 NM (50 lb. ft.), view .pdf file of this electric clutch. SC-700, 101 NM (75 lb. ft.), view .pdf file of this electric clutch. SC-880 , 202 NM (150) lb. ft.), view photograph view .pdf file of this electric clutch. MCS Series, 7.5 NM - 240 NM (5.5 lb. ft. - 178 lb. ft.). View Mounting Example. SC-425-11 with pulley, 30 NM (22 lb. ft.). View .pdf file of this electric clutch. 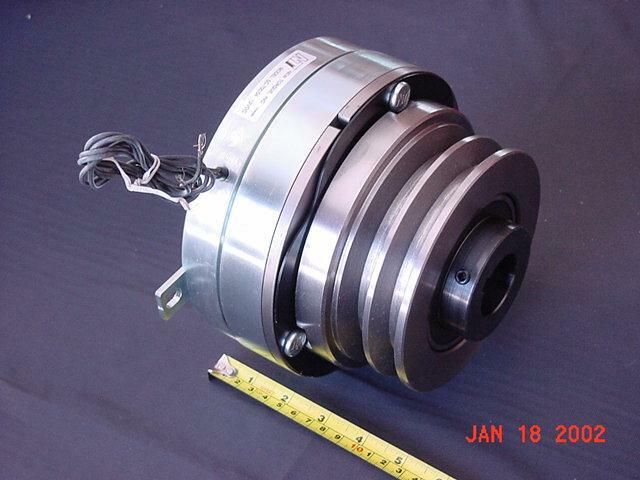 SC-560-04 with pulley, 68 NM (50 lb. ft.). View .pdf file of this electric clutch. SC-700-04 with pulley, 101 NM (75 lb. ft.). View photograph. View .pdf file of this electric clutch. SC-700HT-12with HTD timing sprocket, 202 NM (150 lb. ft.) View photograph. View.pdf file of this electric clutch. 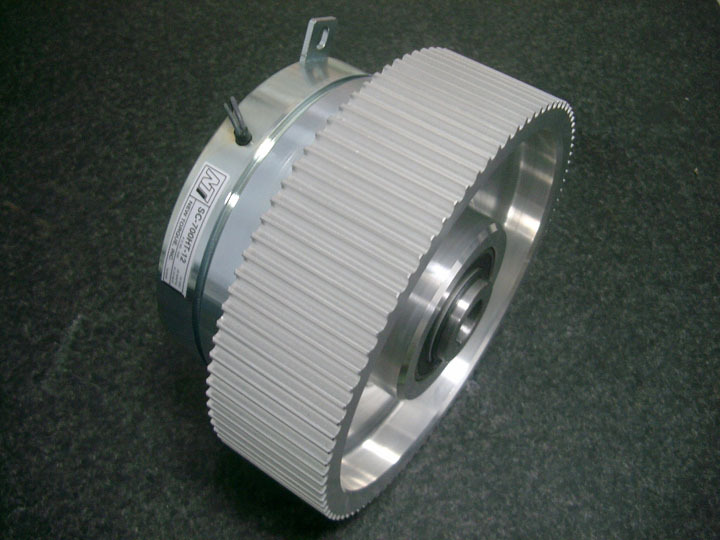 SC-880-10 with pulley, 200 NM (150 lb. ft.). View .pdf file of this electric clutch. SC-350-11 with stub-shaft, 13 NM (10 lb. ft.). View.pdf file of this electric clutch. SC-560HT-06 with stub-shaft, 124 NM (92 lb. ft.). View photograph. View .pdf file of this electric clutch. SHVC-40-10 with stub-shaft, 400 NM (296 lb. ft.). View .pdf file of this electric clutch. FCH Series, 7.5 NM - 240 NM (5.5lb. ft. - 178 lb. ft.). View Mounting Example. FCD Series, 7.5 NM - 240 NM (5.5 lb. ft. - 178 lb. ft.), Armature mounts to customer's part. View Mounting Example. FCB Series, 7.5 NM - 240 NM (5.5 lb. ft. to 178 lb. ft.), Armature connected to bearing-supported hub. View Mounting Example. 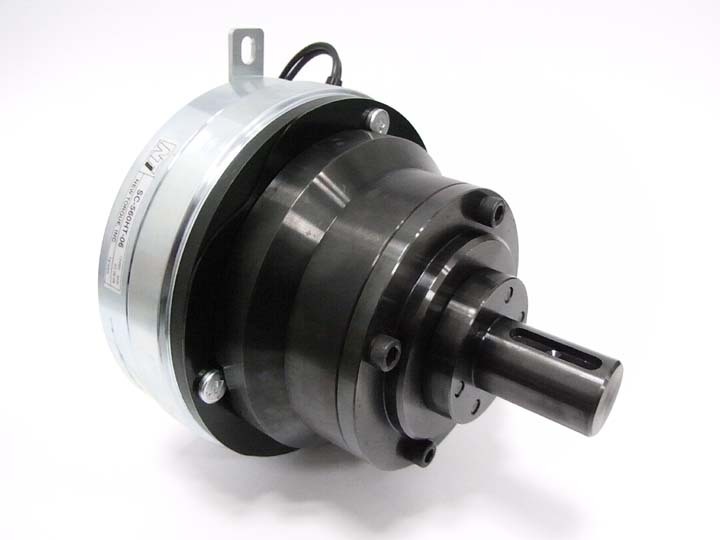 FBD Series, 7.5 NM - 240 NM (5.5 lb. ft. - 178 lb. ft.), Armature mounts to customer's part. FBN Series, 7.5 NM - 240 NM (5.5 lb. ft. - 178 lb. ft.), Armature mounted on inverted hub. View Mounting Example. FBH Series, 7.5 NM - 240 NM (5.5 lb. ft. - 178 lb. ft.), Armature mounted on outside hub. MBF Series and HB Hub, 7.5 NM - 240 NM (5.5 lb. ft. - 178 lb. ft.). View Mounting Example. SAB Series, 4 NM - 240 NM (3 lb. ft. - 175 lb. ft.). ViewConstruction and Operation. View Mounting Examples. SABR-015 , 1.7 NM(15 lb. in.). View photograph View .pdf file of this electric brake. SABR-015 with latching hand release, 1.7 NM (15 lb. in.). View .pdf file of this electric brake. SAB-0.4-18 with hand release, 3.9 NM (35 lb. in.). View .pdf file of this electric brake. SAB-0.4-24, 3.9 NM (35 lb. in.). View photograph. View .pdf file of this electric brake. SAB-1.6-21, 23 NM (17 lb. ft.). View .pdf file of this electric brake. SB-36-2D, 350 NM (260 lb. ft.). View .pdf file of this electric brake. SB-75-2D, 735 NM (545 lb. ft.). View .pdf file of this electric brake. SB-75-2D-405TC double C-face brake, 735 NM (545 lb. ft.) View .pdf file of this electric brake. Speed reducer with integral brake. NEMA 56C input, 1 - 2 hp. TMP-0.6-56C, 6 NM (4 lb. ft.), NEMA 56 C-face input & output. View picture. View .pdf file. CBM-1.5-56C, 15 NM (11 lb. ft.), NEMA 56 C-face input & output, view .pdf file of this electric clutch/brake. CBM-3.0-145TC, 30 NM (22 lb. ft.) NEMA 145 TC-face input & output, view .pdf file of this electric clutch/brake. Electric brakes and electric clutches by New Torque. 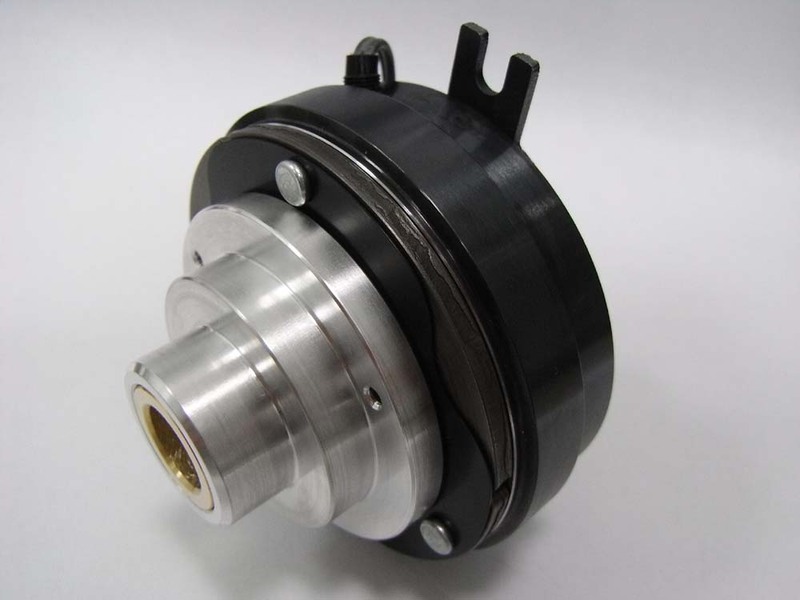 The leader in electromagnetic brakes and electromagnetic clutches.